After each new frozen mammoth discovery I hear people ask, "why is it only mammoths?" The simple answer is that it isn't just mammoths. 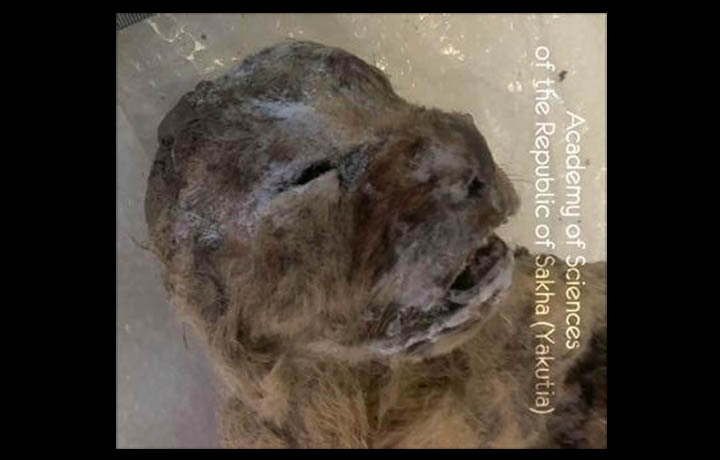 Lots of Pleistocene animals have been found frozen in the far north. Besides mammoths, there have been woolly rhinoceroses, bison, musk oxen, horses, beavers, and oodles of ground squirrels. Mammoths get all the attention because, as has been said of dinosaurs, "they're big, scary, and dead," but also because they're elephants and we have a special fondness for elephants. Just a few weeks ago, another frozen mammal was found that should have had more press. This one not only met the "big, scary, and dead" test, but it was also an animal that we're rather fond of: lions. There were two of them of an extinct species called cave lions (Panthera spelaea). They once roamed the entire tundra north from the British Isles across northern Eurasia and Beringia to the Yukon. Because there are far fewer predators than prey in any ecosystem, the odds of finding well preserved individuals are more remote. In fact, we've never found a complete cave lion carcass or skeleton. Now we have two complete bodies. In this case the internet really fell down on the job. These an not just lions; they are lion cubs--kittens. Isn't this the reason the internet was built?